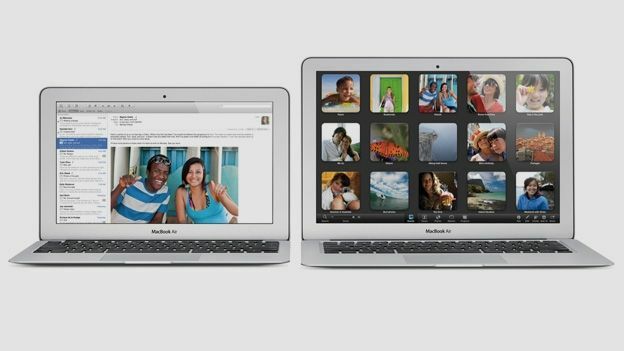 Back in 2008, Apple made laptops cool again by unleashing the super-skinny MacBook Air. The slimline beauty was made even thinner in 2010, and the 2012 version – which is on review here – is the latest iteration of that design. Packing the latest Intel Core processing power, alongside nippy DDR3L RAM, SSD flash storage and ultrafast connectivity, the new MacBook Air 2012 - available as 11- and 13-inch versions - has not only the looks but the power to once again dominate the ultraportable notebook market. But this time around, it does face stiff competition at least. Apple seemingly kicked off a slimline laptop revolution with the MacBook Air, and if you haven't heard the word Ultrabook by now, you soon will have. The shops are now packed with svelte laptops, with the likes of the Asus ZenBook UX31, the HP Envy 14 Spectre, the Dell XPS 13 and the Acer Aspire S3 wowing buyers with their impressive spec sheets and their skinny chassis. But has the new MacBook Air still got enough about it to lead the pack? To find out we took the smaller ii-inch Air model for a spin. While we welcome the new hardware inside the MacBook Air, we can't help but feel that the 2012 models are more evolution than revolution. That's not to say that we don't love the Air's beautiful design – it's impossible not to. But, as this is the third time that Apple has wheeled out exactly the same chassis, we are slightly underwhelmed. There's only so long the wow-factor can last and, two years down the line, the awe surrounding the MacBook Air has definitely diminished, especially when you consider the wealth of new design ideas hitting the Ultrabook market. But, and it's a big but - the MacBook Air design and build is still one that the new Ultrabook brigade strive for. Sure, there are a lot of refreshing new ideas in the laptop arena, but more than a handful of Ultrabooks are clearly trying to emulate Apple's famous design. Despite its age, it's easy to see why. At 300 x 192 x 17mm it's tiny. Even tinier when you consider the graded base which helps the Air hit a ridiculously lean 3mm at its thinnest point. The 11.6-inch model that we reviewed weighs just over 1kg as well, making it the ultimate portable PC (the 13-inch model weighs just 270g more). The keyboard that we know and love from the MacBook family, with its isolated backlit keys, is back – alongside the brilliant track-pad which supports a plethora of multi-touch gestures. In the face of the new Ultrabook competition Apple has responded with a major refresh of the MacBook Air's hardware setup, offering the latest tech at a much more competitive price. The biggest change is the addition of a third-generation Intel Core platform. The 11.6-inch model that we used for this review was running via a 1.7GHz dual-core i5 chip, which can run as fast as 2.6GHz using Intel's Turbo Boost tech. On the 13-inch model it's a 1.8GHz i5 CPU as standard; you can opt for an i7 processor on both versions for £130 more. Intel's third-generation core setup, codenamed Ivy Bridge, also gives you access to Intel HD Graphics 4000, meaning graphics that are twice as fast as the previous MacBook Air generation. There's also 4GB of 1600MHz DDR3L RAM on board and the overall result is a performance that is much more impressive than last time around. However, if you're biggest desire with a MacBook is performance, you should consider one of the Pro models, which substitute portability for power. If you want an Apple notebook which boasts both incredible operation and desirability, you should take a look at the MacBook Pro with Retina display – although, be warned, it doesn't come cheap. In terms of connectivity the new MacBook Air packs a couple of USB 3.0 ports – a nice update from the 2011 model – as well as a Thunderbolt port. There's no SD card reader on the 11-incher, although there is on the 13-inch machine. There's also a 3.5mm headphone jack and an updated power adaptor. Unfortunately, the eye-boggling Retina display that amazes on the iPhone 4S, the new iPad 3 and now the MacBook Pro, hasn't found its way to the MacBook Air range yet. Instead, we're looking at the same glossy LED-backlit display as before, with a 1,366 x 768 resolution (1,440 x 900 for the 13-inch model). Colours appear vibrant, especially with brightness turned up full-whack, and there are no signs of ghosting or blurriness when playing back HD content. The viewing angles are good, if not great. The latest-generation Intel Core power results in a vastly improved experience when using the 2012 MacBook Air. The lack of a discrete graphics processor means that you won't be able to seamlessly play the latest games, quickly edit HD movies or anything else too demanding, but that's not really what the Air is all about. It's a slimline machine that won't take up too much space in your bag that will be more than up to the task for anything you demand of it when you're out and about. If you need to do a bit of work on the go, or quickly check something on the web, the instant-on feature will come in incredibly handy, and the 30-day standby life-span makes it a brilliant living-room machine. As an entertainment hub it thrives with photos and HD movies looking great on its LED display. Storing your digital media may be a bit of a pain, however, with just 64GB of storage on the cheapest setup (£849). A higher price tag of £80 more gets you 128GB on the smaller model and you can go up to 512GB of storage for £640 extra, should money not be an issue. This storage is of the SSD variety though – so it's lightening fast to access your files. The webcam has also been improved; it's now a 720p HD one so your FaceTime calls should be clearer than ever. Apple is promising a battery life of five hours for the 11-inch model and seven hours on the 13-inch one. In our test, which involves looping HD video using Apple's QuickTime on full brightness, it lasted just under four hours, indicating that Apple's promise for normal usage should be about right. Charging the MacBook Air is a quick and easy affair using the relatively small power pack and the new MagSafe 2 power adaptor, which is thinner than the previous incumbent. If you want to use your old Mac powerpack, Apple will sell you an adaptor for £9. In terms of performance and usability it's hard to fault the 2012 Apple MacBook Air. It may not have the sheer power of its MacBook Pro brethren, but it's hardly a slacker either with the third-generation Intel Core power making for a much slicker experience than last year's range. Its slimline chassis and lightweight footprint mean that it is the perfect portable machine and, despite the Ultrabook onslaught, it is still the most desirable notebook available. But we're not too sure just how much longer that desirability can last. Yes, it looks brilliant, is a pleasure to use, and it has a fantastic build quality. But these are all plus points that could be said of both the 2010 and 2010 MacBook Airs. Ultimately, we think it's time that Apple shook up the laptop market again and we're desperately hoping that the 2013 Air refresh shows more signs of the unique innovation that has made the Cupertino-based company the biggest name in tech. Until then, we'll enjoy using the new MacBook Air, albeit with a tinge of disappointment. MacBook Air 2016 will be thinner, faster, with a better display and 15-inch option? Is the MacBook Air still the best laptop around?